Apeaksoft iPhone Data Recovery, as the best iPhone Data Recovery software, can recover lost/deleted Messages, Contacts, Call History, Calendar, Notes, WhatsApp data, Photos, etc. from iPhone/iPad/iPod and from iTunes backup files. It supports all portable iOS devices, including X/8/8 Plus/7 /7 Plus iPad Pro, iPad mini 4, iPod touch, etc. And it allows you to preview your lost data before recovery. For iPhone 4/3GS, iPad 1, iPhone Data Recovery can recover your lost/deleted data before your device data is overwritten. Recoverable data includes Contacts, Messages, Call history, Calendar, Notes, Reminder, Safari bookmark, Camera Roll, Photo Library, Photo Stream, Message attachments, Voice memos. As for iPhone X/8/8 Plus/7/7 Plus/SE/6s/6s Plus/6/6 Plus/iPhone 5s/iPhone 5c/iPhone 5/iPhone 4S, iPad 4/2/Air, iPad Air 1/2 and iPod touch 5, it can recover deleted Contacts, Messages, Call history, Calendar, Notes, Reminder and Safari bookmark. 2. Restore data from iTunes backup files and Preview files before recovery. No matter what type your device is, this iPhone data recovery can recover lost/deleted data as long as your device has been backed up with iTunes. So if your data was deleted incautiously or intentionally, you can get them back. 3. iOS System Recovery function. iOS System Recovery function can help you fix your iOS system back to normal in various issues including stuck in recovery mode, DFU mode, white Apple logo, black screen, looping on start, etc. without losing your iPhone/iPad/iPod data. 4. iOS Data Backup & Restore function. 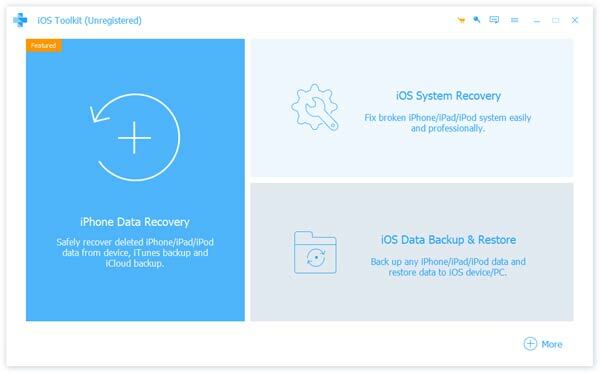 iOS Data Backup & Restorefunction can help you backup your iOS data to computer in one click and can preview and restore backup to any iOS device without any data loss. WinSleep Monitor by MollieSoft (Popularity: ) : > WinSleep Monitor by MollieSoft is the remote viewer for WinSleep. > Shows WinSleep programs running on any number of remote computers, including timeline graphs and sleep journals. > Edit Sleep/Wake schedules remotely.